I find the Emmys the most boring of the major awards shows: they lack the performances of the Tonys and especially the Grammys and the select nature of the Oscars’ acting awards. 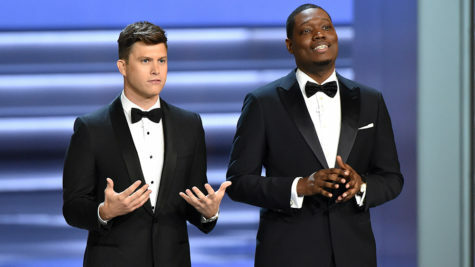 So I barely tuned in last night (hosted by Colin Jost and Michael Che. Am glad I didn’t: most observers thought the broadcast lackluster. For the record, “The Marvelous Mrs. Maisel” and “Game of Thrones” scored big. Meh. “Blackish” And “American Crime”: Really?